The guests are here and they are hungry! 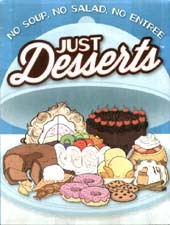 Serve them their favourite sweets in this delicious game of dishing desserts. Be the best waiter at the party, and make sure all the guests get their Just Desserts!